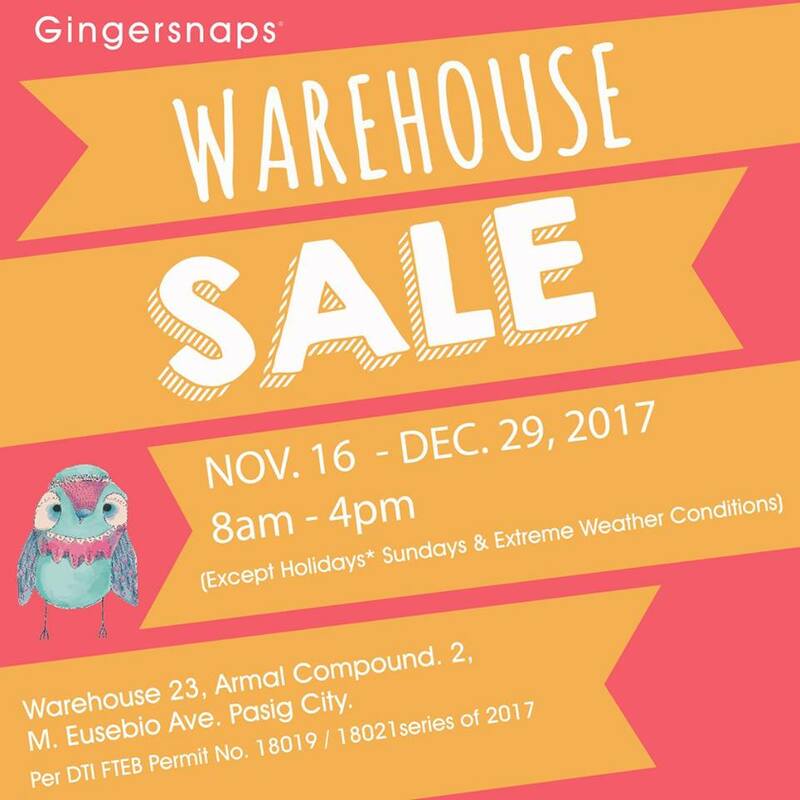 Check out Gingersnaps and Just G Warehouse SALE happening on November 16 to December 29, 2017. 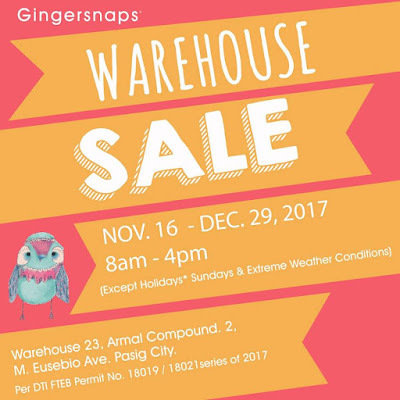 Get great discounts on Gingersnaps children’s apparels and maternity wear, and Just G teens' apparels and accessories. Great holiday comes with great deals and offers. Your deals are enticing and at the same time value for our money. Looking forward to more deals from you guys these holiday!